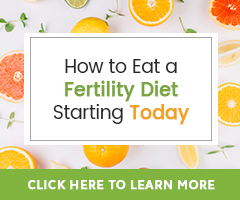 Best Herbs for Female Fertility? Motherwort! Midwives and herbalists revere Motherwort (Leonurus cardiaca) as a sacred plant for female health, on both a physical and emotional level. Motherwort is in the Lamiacea family, which is the mint family. The name Leonurus cardiaca has given this plant its other common names Lion’s ear, Lion’s tail, and Lion heart. The word cardiaca, indicates its use as a traditional heart remedy. Herbalists use the flowering tops, leaves, and stalk as medicine for a variety of female reproductive ailments. In many ways, Motherwort is one of the greatest healing herbs for women. Women are emotional by nature; they endure many ups and downs while striving to figure out the responsibility and gift of being able to bring another life into this world, but also nurture the lives of others. Motherwort supports this process and prepares the uterus for childbirth, while calming anxiety and stress, and supporting the heart. This herb is very effective when taken for a few months, doing its job, and then allowing the woman to move on without it. Hethir and I were discussing Motherwort the other day for some herbal blends we like. We talked about how easy it is to grow in your own garden. Because it is in the mint family, it is hearty and spreads in the garden easily; this can be either burdensome or a blessing, depending on how much you would like to grow. The Motherwort I have grown loved to spread its little seeds all around each autumn, creating new baby plants. I have seen herbalists let these seedlings grow until strong enough to transplant and make an entire garden of just Motherwort plants. If you are interested in making your own medicinal extracts or vinegar of this plant, growing your own Motherwort patch is a great idea! It loves full sun and shade. It can grow quite tall, over 6 ft or more. This plant is so delightful to grow on your own, that I urge you to try growing it this next spring! Motherwort has been found to mildly stimulate the uterus, while also aiding the uterus to work efficiently in the case of bringing on menses for women with absent menstrual cycles, as well as those with painful periods. This herb contains the alkaloid leonurine, which has a relaxing effect on smooth muscle. It is a powerful herb that brings quick relief to women who have painful periods with symptoms like anxiety, rapid heartbeat, hot flashes, headache, dizziness, stress, and difficulty sleeping. This herb is very effective at reducing uterine muscle spasm, reducing cramping, and improving uterine tone. Traditionally, Motherwort was used topically as an infused oil or as a poultice (fresh herb macerated as a pack) placed on the abdomen. This is usually done with some type of liquid, it could be alcohol, vinegar, witch hazel or hot water. The pack was placed on the abdomen to relieve menstrual cramping. Motherwort is nourishing to the heart by stimulating new capillary growth. A healthy heart enables our entire body, including the reproductive system to receive healthy, oxygenated blood. In a study of 105 patients, 94.5% of them showed an improvement in blood viscosity and reduction in fibrinogen content (clotting). This is important for proper blood flow. Hypertension is a risk factor for uterine cancer; Motherwort is extremely helpful in supporting proper heart and uterine health, which may help to prevent uterine cancer. Because one of the main symptoms of hyperthyroidism is heart palpitations, many herbalists suggest Motherwort for treating hyperthyroidism. Hyperthyroidism may lead to infertility if not taken care of. Famous western herbalist, Susun S. Weed, swears by a wonderful blend of 3 herbs she calls the Triple Goddess, for reducing ovarian cysts. This tincture blend is a Traditional Chinese Medicine blend. Equal parts of tincture made from fresh flowering tops of Maidenwort (Stellaria media), Motherwort (Leonurus cardiaca), and Cronewort, also known as Mugwort (Artemisia vulgaris). She suggests 1-2 dropperfuls, 3 times a day, to dissolve ovarian cysts. Nicholas Culpepper (1616-1654) said, “there is no better herb to drive away melancholy vapours from the heart, to strengthen it and make the mind cheerful.” Culpepper is famous among herbalists as a wonderful botanist, herbalist, and herbal educator. He wrote many herbal books including Complete Herbal. Motherwort has a very bitter taste and is most often tinctured into a liquid extract. It also is nice taken as a vinegar. Some brave people who love bitters do like to place a bit of this herb in an infusion. Those who dare to drink this as an infusion: 1-2 tsp. of dried herb to 1 cup of water. Cover with boiling water, steep for 10-15 minutes. Drink 3 cups a day. Dosage of liquid extract: 5-25 drops a day, 3 times a day. Dosage of liquid extract for painful periods and PMS: 10-25 drops every 5 minutes and then every 2 hours for next few days, or until pain has subsided. This method should only need to be used this way for up to 4 months in a row. 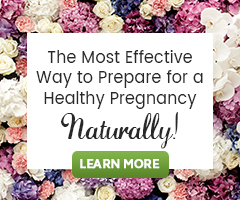 If you are trying to conceive, it may be best to only use this herb as needed. If you suspect pregnancy, avoid this herb. *Do not use this herb into pregnancy because it has a uterine tonic and effect, stimulating mild uterine contractions. It is best used in preparation and healing prior to pregnancy. Motherwort is best not used during heavy menstrual bleeding, unless advised by a qualified herbalist or naturopathic doctor. Weed. Susun S., (2011). Down There Sexual and Reproductive Health. Ash Tree Pub. : Woodstock, New York. Chevallier, Andrew. (1997). The Encyclopedia of Medicinal Plants. DK Publishing: New York, New York. Chevallier, A. (2016). The encyclopedia of herbal medicine:. New York: DK Publishing. I have a uterine fibroid and two ovarian cysts. I may also have endometriosis. Can I drink Yi Mu Cao and Xi Xian Cao? Yi Mu Cao is Motherwort. I feel like the right side of my stomach exploded today with pain. I’m sorry! It really would be best to check in with your healthcare provider if the pain is extreme or has not subsided! I am not trained in Chinese herbs, but do not know that Motherwort is contraindicated for those with fibroids or ovarian cysts. Can someone please tell me how many times a day can I drink the Motherwort tea when trying to conceive ? Motherwort tea isn’t often that palatable, but if you choose to consume it in tea form, two-three 8 ounce cups in consider a general suggested use. I was wondering can I use it whilst menstruating and should it be taken on an empty stomach ? Motherwort can be used all cycle long and taken with or without food. Often herbs are suggested just prior to a meal. Either is fine! Believe inthe Marijuana powers and asure this plant will save u! We are not opposed to the use of Marijuana therapeutically. Marijuana is not Motherwort however. They are two different plants. There is limited research on use for breastfeeding, yet we know many do. It may be best used only in acute situations under the guidance of a skilled health care practitioner, herbalist or midwife.